As I mentioned in my earlier fish recipe posts, Fish is a kind of staple food for Keralites especially in the coastal area of Kerala like Kannur(Malabar). I remember our Meenkaran(fisherman) who brings fresh fish daily to our door steps. Our grandma makes fish curry or fry almost every day and I always feel she makes the best fish curry ever. We were quite happy even with the simple fishes like Mackerel and Sardines if we get to eat it daily. King fish(Ayakkoora) and Pomfret(Avoli) were our favorite fish and I still continue to buy these fishes here in US even though I feel it do not taste as great as the fresh fish we get in India. 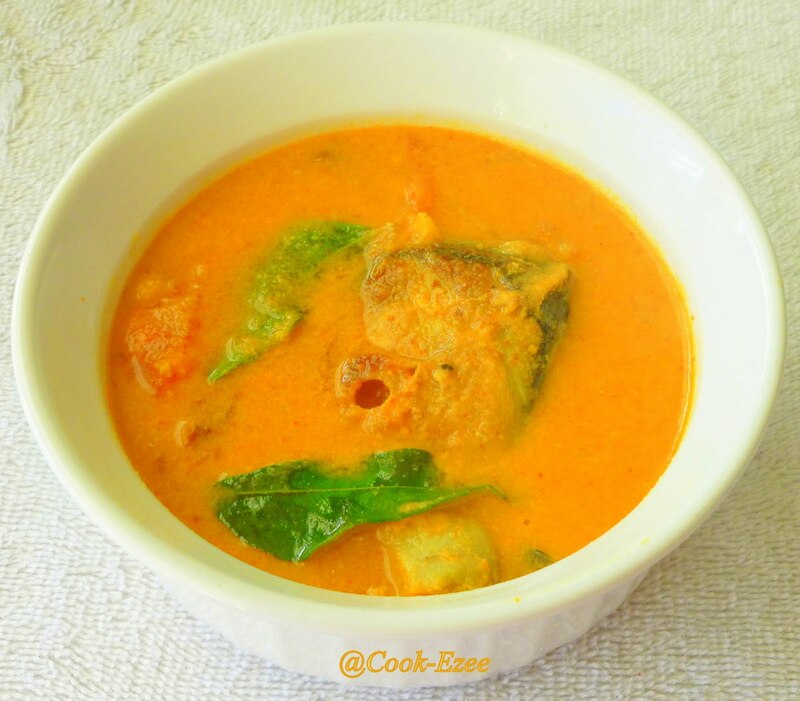 This recipe is my grandma's way of making Fish Curry which I absolutely love to have with Boiled Rice and this tastes great after 6-8 hours of preparation. Now that since I have mentioned Kannur Style I'm sure many of you might be wondering as to why since the ethnic Kerala Meen(Fish) Curry should be made just one way. Not at all, Fish Curry have a lot of variations even in the uniqueness of flavor and I found difference with in Kannur(A city in Northern part of Kerala) even though the ingredients are almost the same. Kannur Fish curry is made with mild spices taking care not to overpower the flavor of fish and another significant difference is the usage of tamarind(Valan puli) over Gambooge used in most Kerala Fish Curry recipes. 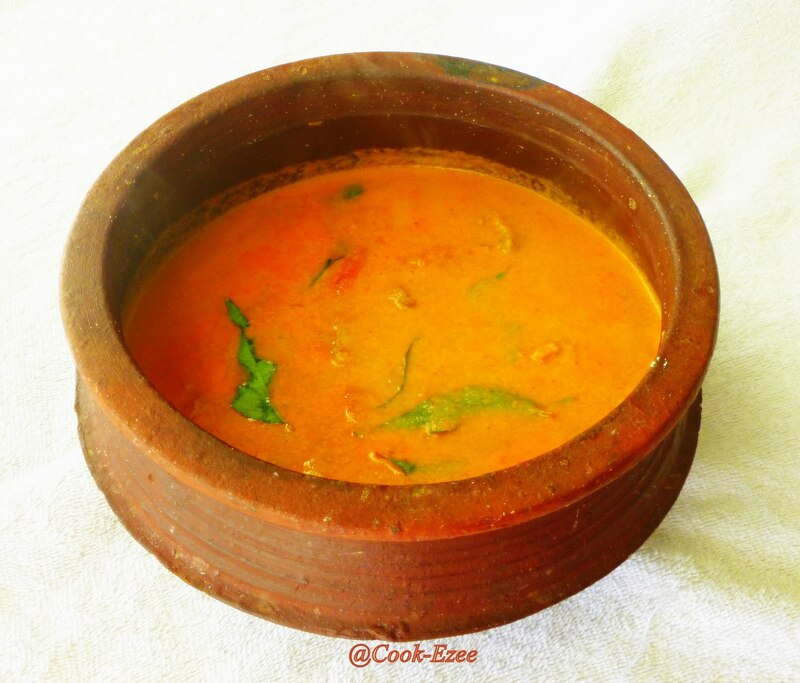 Another important factor that uplift the taste of any fish curry is the Earthenware/Clay-pot commonly known as Manchatti/Chatti. Every Kerala house have at-least one of this Clay-pot which brings the taste of Fish curry to perfection and I have grown up seeing my granny, mom and aunts making fish curry in Manchatti. So when I was heading back after my first vacation I brought back a reasonably big Manchatti with me and I'm so happy I did that. Soak the tamarind in 1 cup of water for atleast 10-15 minutes. Squeeze out all the tamarind pulp juice out of it and set aside. Wash and clean the fish gently and marinate it with Turmeric powder, Chilly powder and Salt. Keep it for 30 minutes if possible. Put the sliced onion, green chilies, tomatoes, ginger, few curry leaves and tamarind water preferably in an Earthen vessel/Manchatti. Cover and cook it till it get to boil and Onion-tomatoes are tender. Add the fried fish and ground coconut paste and mix gently with a spoon. Cook it lid open till everything reaches boiling point. Now simmer the flame to medium and let it boil for four-five minutes. Switch off the flame and add some generous amount of curry leaves. This curry tastes better after five-six hours of cooking. 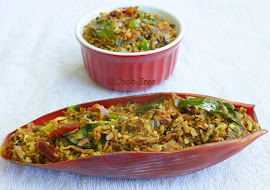 Serve with boiled Rice/Puttu/Dosa or anything of your favorite choice. 1. Instead of Tamarind/Vaalan Puli you can use Gambooge/Kudam Puli, it is your personal choice. I feel mostly Northern Keralites use Tamarind and I'm used to that taste and prefer Tamarind over Gambooge where as many of my friends from Southern Kerala was surprised about me using Tamarind in Fish Curry. 2. Like wise you can use Shallots instead of Onion, my mom always used Shallots where as my granny uses Onion. Both tastes good, maybe Shallots tastes a bit better. If using Onion try to slice them very finely, I believe the way you cut/chop veggies definitely makes a difference in the taste. 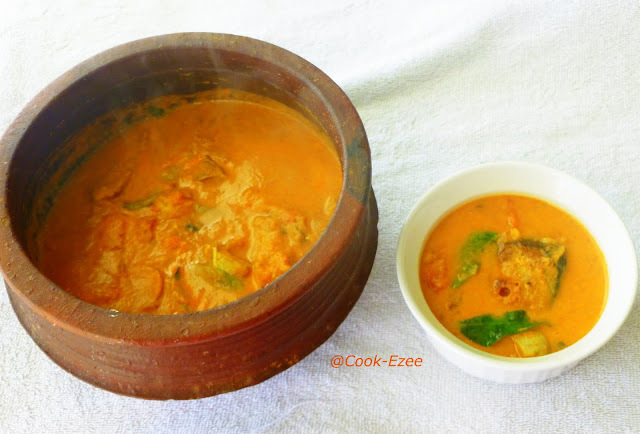 yummy delicious..I too love this curry..My MIL prepares this way too..
Looks delicious and nice fish curry !! Am making the same curry now. Its deliciously welcoming. Loved your post dear. And such a vibrant color..! love kerala fish curries. looks wonderful and creamy. Thanks all for dropping by and giving ur valuable comments. @Anzz: Thanx dear, hope fish curry turn out great for you :) Lemme know. 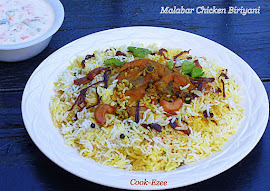 Wat a fingerlicking fish curry,simply inviting..
wow its really tempting..loved it.